1 Worker Injured in 8-Alarm Junkyard Blaze in Pepperell, Mass. 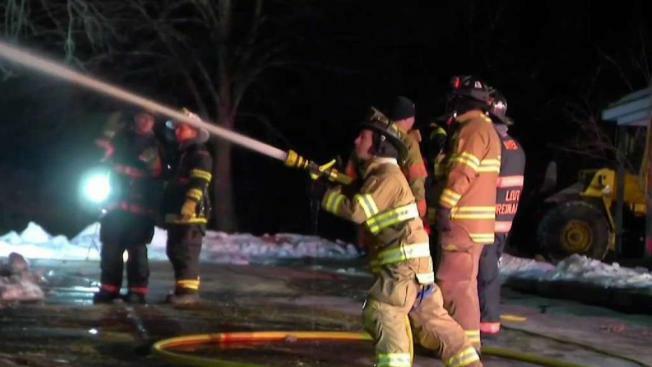 A massive fire tore though a Pepperell, Mass. auto shop on Friday, taking firefighters from 22 communities to knock out the flames. Firefighters battled a massive fire Friday at a junkyard in Pepperell, Massachusetts. Crews from several communities in both Massachusetts and New Hampshire were called in shortly after noon to help battle the 8-alarm fire at R H Auto Repair. One worker was treated at the hospital for smoke inhalation but has since been released. The fire's remote location near the New Hampshire border caused major water issues for the crews. 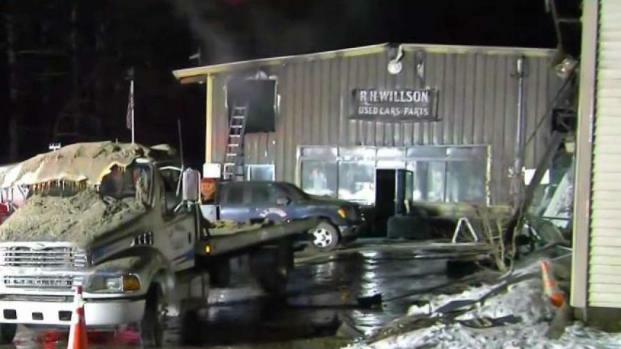 The family who owns RH Wilson Auto Repair Shop tells NBC10 Boston that they will rebuild after the 8-alarm fire. Fire Chief Toby Taylor says the closest fire hydrant is a mile away, so they had to bring in water. Town administrator Andrew MacLean says the building is a total loss. A woman who owns the shop with her family told NBC10 Boston that they will rebuild. MacLean says a worker was cutting or welding something off or onto a vehicle when fuel caught fire and spread very quickly. Prescott and North streets were closed due to the blaze, and citizens were encouraged to avoid the area if possible.